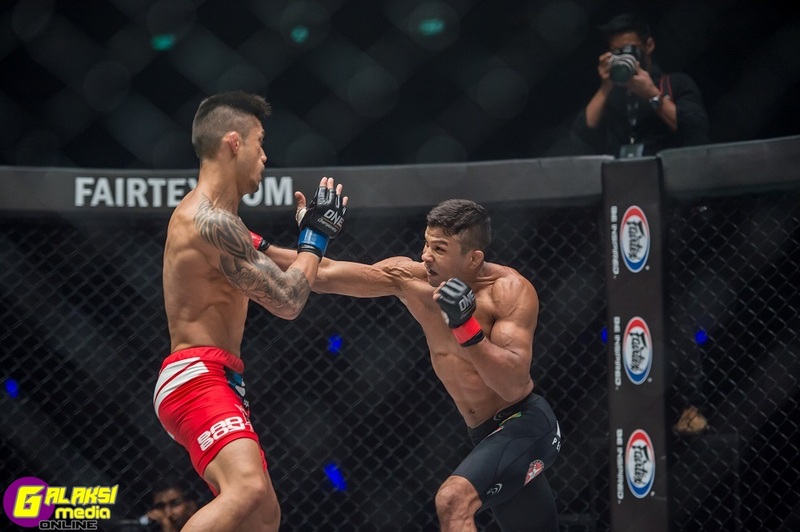 24 March 2018 – Bangkok, Thailand: The largest global sports media property in Asian history, ONE Championship™ (ONE), held a historic evening in Bangkok as the capacity crowd at the Impact Arena witnessed an amazing display of heart-pounding martial arts action. ONE: IRON WILL sent shockwaves of excitement throughout the state-of-the-art stadium as the card featured a series of compelling bouts, punctuated by an unforgettable championship clash. In the main event, Bibiano “The Flash” Fernandes of Brazil remained the undisputed king of ONE Championship’s bantamweight division, defeating two-division world champion Martin “The Situ-Asian” Nguyen of Australia.